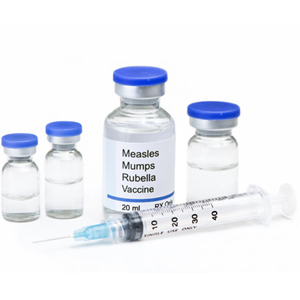 Arizona authorities say private prison guards who refused vaccinations are the locus of a measles outbreak, the Los Angeles Times reported Saturday. Health authorities say all 22 cases of measles in the outbreak can be traced to the Eloy Detention Center in rural Arizona, at which adult immigrants are detained pending their court cases. Thomas Schryer, health director for Pinal County, told the Times that the outbreak probably began with a detainee, but has not spread among them because detainees are now vaccinated. One staff member spent four days in the hospital with measles, he said. However, Schryer said, it has been difficult to persuade employees to get vaccinated or show proof of vaccination. The facility employs about 350 employees of private prison company Corrections Corporation of America as well as an estimated 100 federal employees from Immigration and Customs Enforcement. ICE doesn’t require staffers to vaccinate. A CCA spokesperson said most of its employees have been vaccinated or shown proof of immunity; the remainder have to wear surgical masks to work. Cara Christ of the Arizona Department of Health Services said many Eloy employees got vaccinated last week, once they understood the risks. According to Fronteras, a joint effort by public radio reporters covering immigration, the Eloy Detention Center’s immigration court was closed to halt the spread of measles after the outbreak began. Its reopening has been delayed twice; it’s currently scheduled to reopen July 18. One immigration attorney told Fronteras that he closure has delayed bond hearings for detainees who may be eligible for freedom pending their hearings. The closure is worsening the nation’s immigration court backlog, which was already severe. According to Syracuse University’s Transactional Records Access Clearinghouse, which tracks immigration court data, it took an average of 668 days for an immigration court to be heard as of May of this year. In Arizona, that number was 748. The average at Eloy, 121 days, is quite a bit lower because ICE prioritizes the cases of people who are detained pending their immigration hearings. The Justice Department’s Executive Office for Immigration Review has said immigration courts will take the situation into account when considering motions for continuance.